them connecting Jorhat with neighbouring Majuli, the world’s largest river island. Union Sports Minister Sarbananda Sonowal talking to reporters here on Tuesday said the other proposed bridges would connect Disangmukh in Sivasagar district with Tekeliphuta in Lakhimpur district, Nagaon with Rangapara near Tezpur in Sonitpur district while the fourth bridge would connect Gohpur with Numaligarh in Golaghat district. For improving transportation infrastructure on the northern bank of the river benefiting the people of northern districts of Assam, Mr. Sonowal said the Dhakuakhana-Lakhimpur road and Lakhimpur-Majuli road would be converted to National Highways. 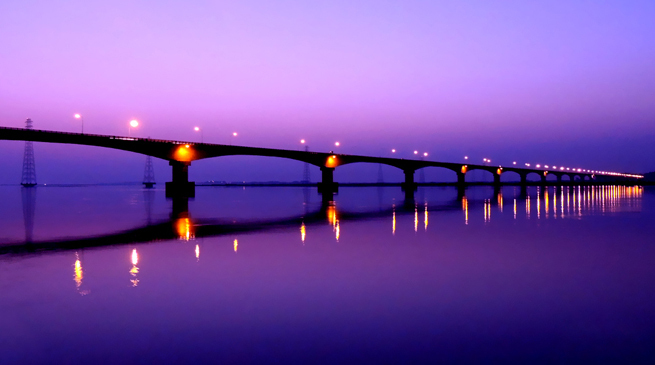 The ongoing construction work of the road and rail Bogibeel bridge over the Brahmaputra in Dibrugarh district would be completed next year, he said adding Union Transport Minister Nitin Gadkari would come to Assam on February 27 to lay the foundation stone of various road projects. Bridges would also be constructed over the State’s other major river Barak as Prime Minister Narendra Modi had emphasised on the development of infrastructure in Assam, he said.